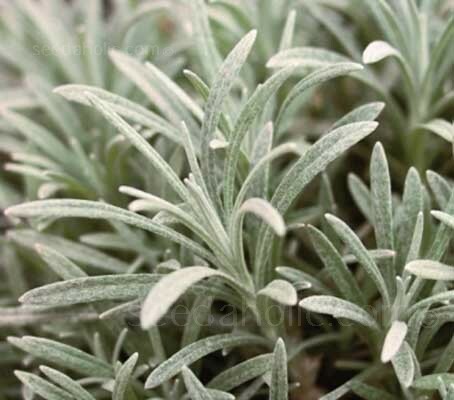 Silver foliage has long been considered a valuable mixer in any flower border. There are few boring silver-leaved plants, the foliage, in addition to its lovely light silveriness, is usually endowed with interesting shapes or textures, providing contrast among green-leafed plants. Silver foliage also enhances the visual appeal of flowers, brightening pastel colours while softening more vibrant colour schemes. Repeated groupings of silver plants throughout a border is an easy and effective method of unifying a planting scheme. Silver leaves usually belong to plants that love sun and good drainage. Artemisia, Stachys, Lychnis and Lavender - they all glitter in a sunny border, and indeed the physical properties of the leaves which make them lustrous are normally a protection for the plant against extremes of sunlight, wind, heat and drought. The silver foliage combines well with most colours including dark green, burgundy, yellow, chartreuse and lime green. They provide contrast amongst green leaved plants and can be grown as a low hedge. It works well in mixed borders or in containers and is particularly striking mass-planted with large ornamental grasses. In mid-summer, the plant produces clusters of small sunshine yellow flowers which contrast strikingly with the silver foliage. They are useful as a cut flower and retain their colour long after picking and are useful in dried flower arrangements. Native to dry cold areas of northern China, this hardy perennial thrives through our wet winters and takes hot summer sun and drought in stride. The plants prefer a sunny position in light, well-draining soil and will thrive in rock gardens and xeriscapes but can cope with semi-shade, poor soils and somewhat heavier soils. They are hardy to minus 18°C (0°F) and are drought-tolerant once established and need only a little to average summer irrigation. Seeds require light for germination, they should be sown on the surface and not be covered. Fill individual pots or trays with well drained seed compost. Moisten by standing the container in water, then drain. Sow the seeds thinly on the surface of the compost, pressing lightly into the compost to secure them. They will germinate in 14 days at 18 to 26°C (65 to 75°F). Keep the compost moist by watering from the base of the container, never directly on top of the seeds. Once seedlings have their first true leaves, prick out and transplant to individual 7.5cm (3in) pots to grow on. Gradually acclimatise to outdoor conditions for 10 to 15 days before planting out, 1 to 2 weeks after the last expected frosts. Space 25 to 38cm (10 to 15in) apart. Choose a position with a well-drained soil that is moist but not wet. The plants should be exposed to the sun half the day or more. They are not tolerant of full shade and high humidity or continual damp may cause stem rot. They will tolerate drought and do well in dry, infertile soils. Like many plants from high desert regions it seems to be susceptible to the scourge of 'winter wet,' a condition that results when the still active base of the plant freezes. Plant 25 to 38cm (10 to 15in) apart. Normally a dusty grey, new flushes of growth in spring take on a greener appearance. 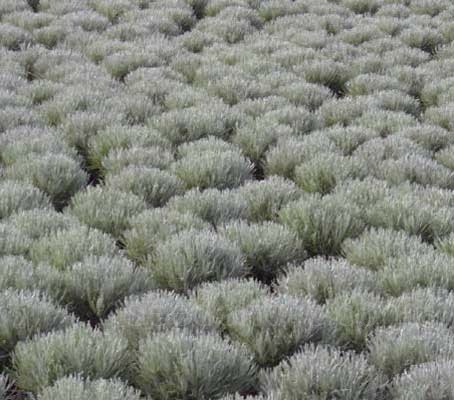 Helichrysum looks very similar to a Lavender in its early leaf stage. Care for this perennial is very similar to how you'd take care of lavender. Its flowers should pinched off as soon as they begin to fade to best display the silvery foliage. After the flower heads have died, use a pair of hedging shears or large scissors to trim off the flower stems plus about 3 to 8cm (1 to 3in) of the leafy stems. Prune the plants once or twice a year to keep them compact. Helichrysum thianshanicum seems resistant to most insect problems. Clusters of yellow flowers on tall white stems are produced in summer, they retain their colour after picking and can be used in dried flower arrangements. Pick when foliage is quite dry and the flowers are well open, tie in small bunches and hang upside down in a dry, well ventilated place until dry. The genus Helichrysum consists of an estimated 600 species, Native to Africa (with 244 species in South Africa), Madagascar, Australasia and Eurasia. The species may be annuals, herbaceous perennials or shrubs, growing to a height of 60 to 90cm (24 to 36in). Several species are grown as ornamental plants, and for dried flowers. Helichrysum thianshanicum is native to the Tian Shan mountains, on the border between Kazakhstan and the Xinjiang Autonomous Region of western China where it's found growing on dunes, gravelly areas, and slopes below 9,800 feet. The region is not just hot and dry, but in winter it is extremely cold with temperatures dropping to minus 40°C (-40°F). Though it was described in 1879 by Eduard August von Regal (1815-1892), a German botanist who served as the director of the Russian Imperial Botanical Garden in St. Petersburg, it seems to have been little used in gardens until the 1990s when it was rediscovered during the new plant craze. 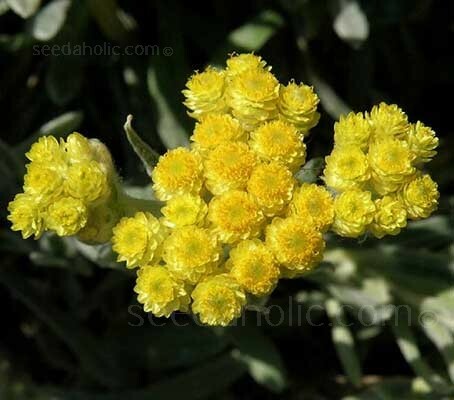 The genus name Helichrysum is derived from the Greek words helisso meaning to turn around and chrysos meaning gold. Referring to the colour of the flowers of the species. The species epitaph, uses the old spelling for the place name thianshanicum tells us that this plant comes from the Tian Shan Mountains of Central Asia. It can also be found with the spellings tianschanicum and thianschanicum. Also spelt tianschanicum and thianschanicum. Helichrysum orientale. Hardy to minus 18°C (0°F).